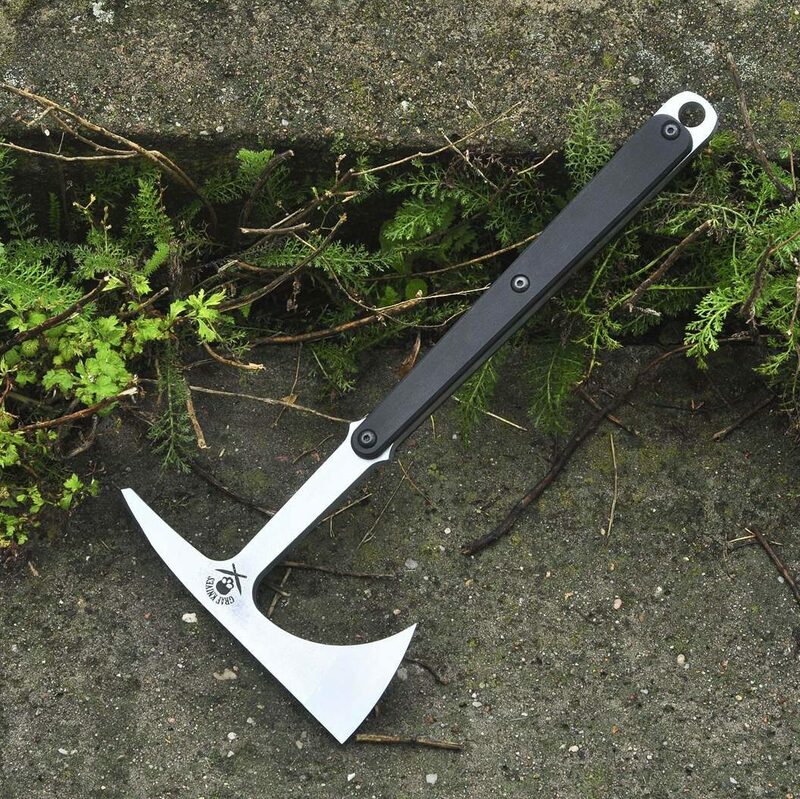 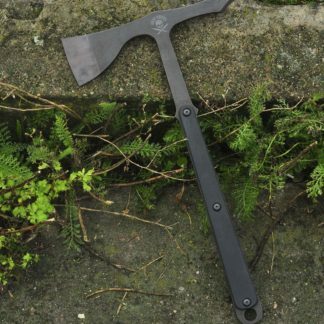 Specifications: Length – 375 mm Thickness – 8 mm head length – 210 mm Cutting edge – 60 mm Weight (paracord) – 640 g Weight (micarta) – 740 g Options: Handle – paracord wrap micarta slabs Finish – black iron oxide Description: V-01 is a dedicated tactical/combat hawk. 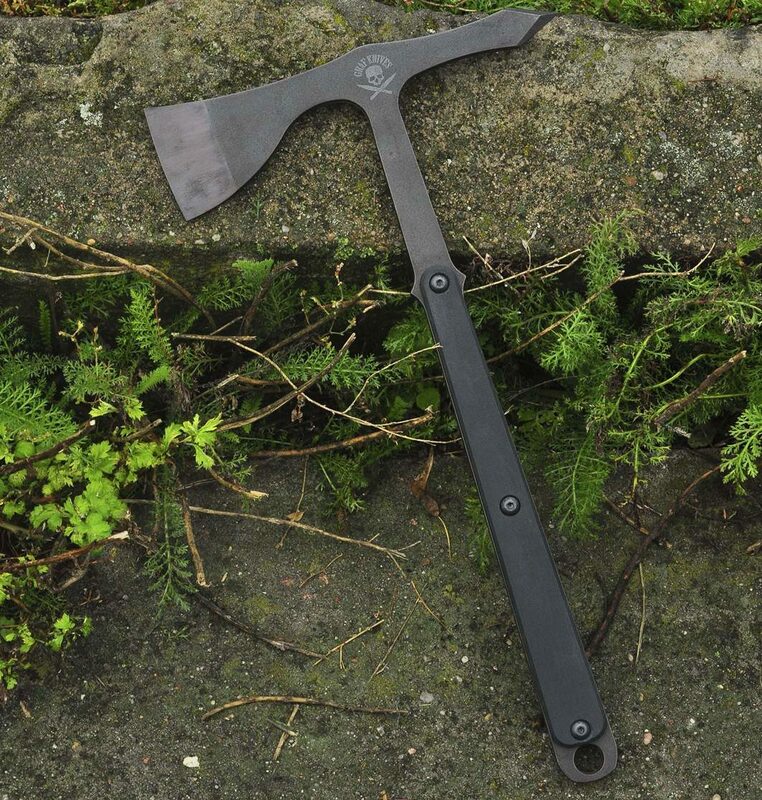 Made out of 8mm 4340 steel, tough enough for any combat environment. 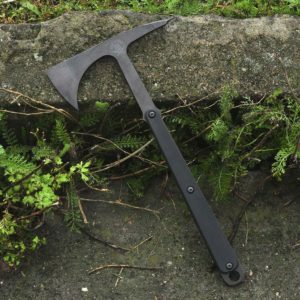 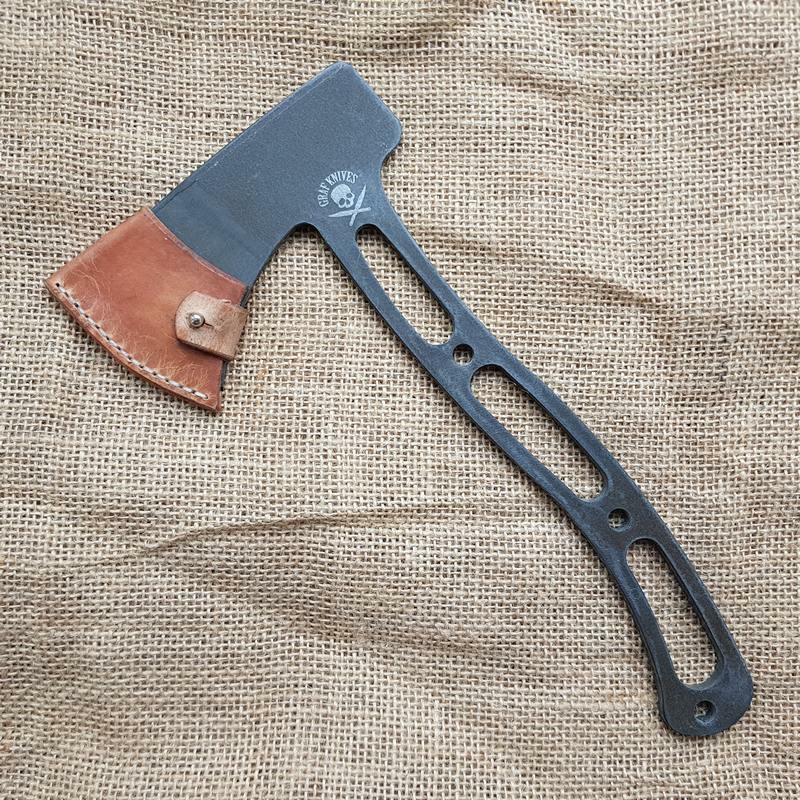 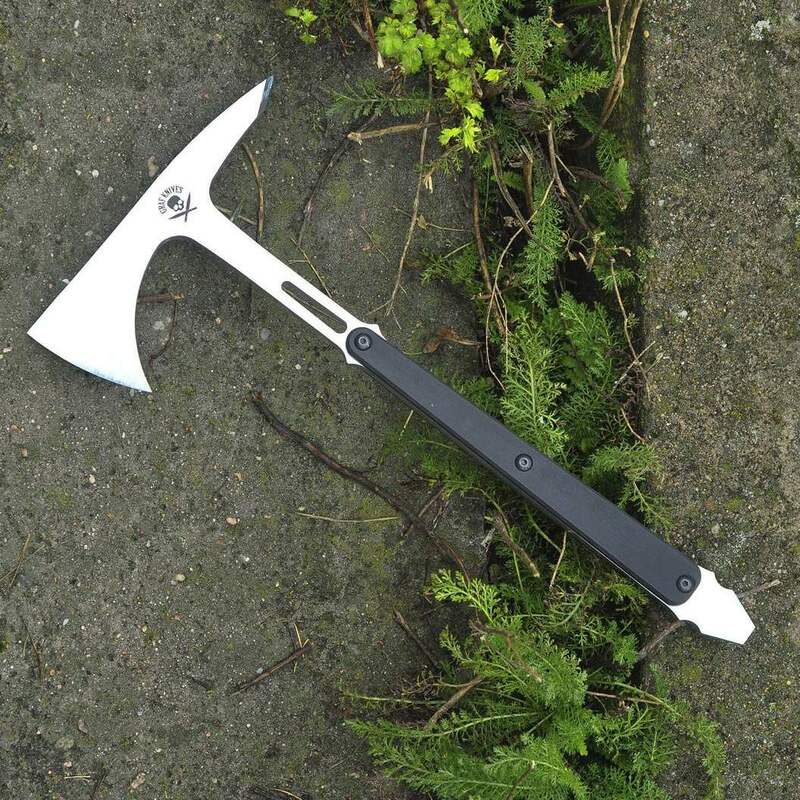 Inspired by Vietnam-era Peter LaGana tomahawk Available in tactical black iron oxide finish. 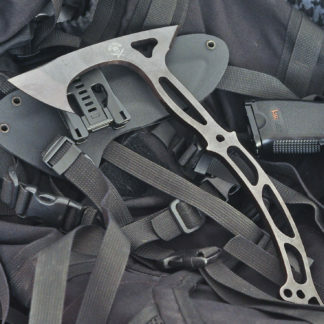 Quick release kydex sheath and teklok mount.